Part of the Hegemon’s role is to develop, implement, and manage a successful Candidate Education Program for the chapter or colony. This involves detailed planning before the candidate education period begins, execution during the education period, and evaluation, reflection, and analysis afterwards. It's more than just teaching the history of our great Fraternity. The Hegemon is in charge of teaching the future members what it means to be a fraternity man and has the opportunity to ensure these men are ready to contribute to the chapter’s success after initiation. 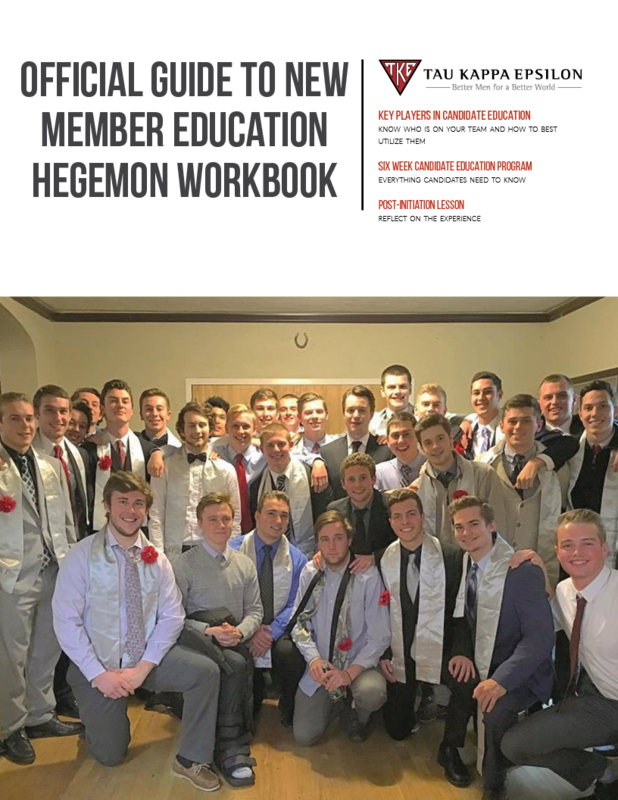 This Resource Guide includes a detailed outline of a six-week Candidate Education Program, including activities, lessons, and discussion topics focusing on the development of the future of our fraternity. Click the image below to download "The Official Guide for Candidate Education"